By YES Philippines in Latest News on February 26, 2018 . We’re just getting started! 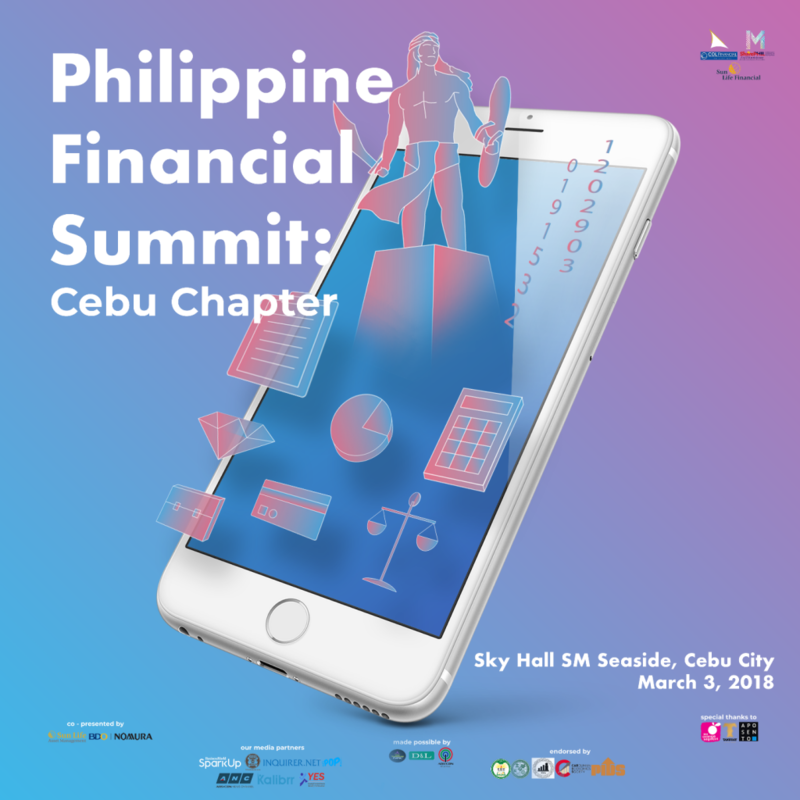 Grab the opportunity to know more about the ins and outs of finance as we continue spreading financial literacy in the Philippines. Don’t miss this chance to join us in the second leg of our summit this March 3, 2018 in Sky Hall, SM Seaside Cebu! Together, let’s promote the importance of finance in every Filipino’s life. Co-presented by BDO Nomura and Sun Life Asset Management Co. Inc. In partnership with Carolinian Economics Society | Siliman University’s Junior Philippine Institute of Accountants | University of San Jose – Recoletos’ Junior Business Executives and Entrepreneurs Society | USC School of Business and Economics Council.